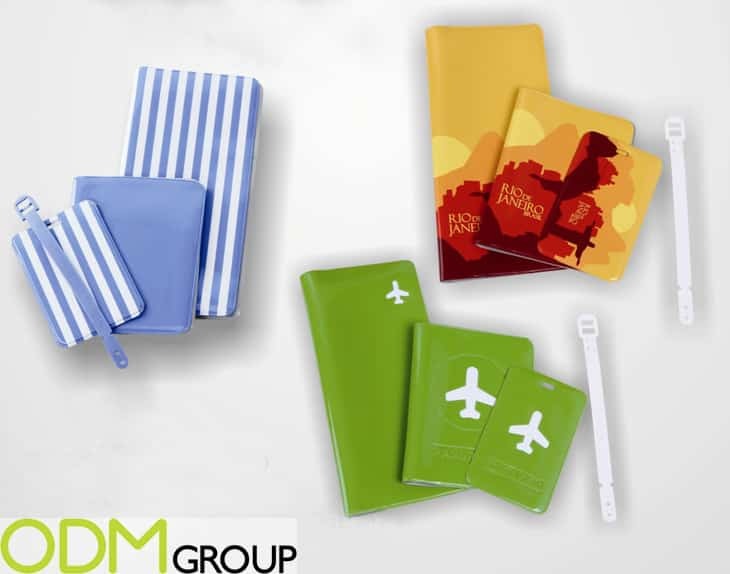 Branded travel accessories are the types of promotional products which can offer wide international exposure for companies within any marketing budget. As the items will have limited yet important roles to play, the user will be sure to value them, especially if received as free gift. In this blog we will talk about options for travel products which can be used for brand placement. Luggage tag performs as an affordable and low-cost promotional product, but you can’t overestimate how many impressions it can get. If you actually consider, these tags will bring your brand worldwide and onto the international stage if your customer carries it with them on trips – business or leisure. 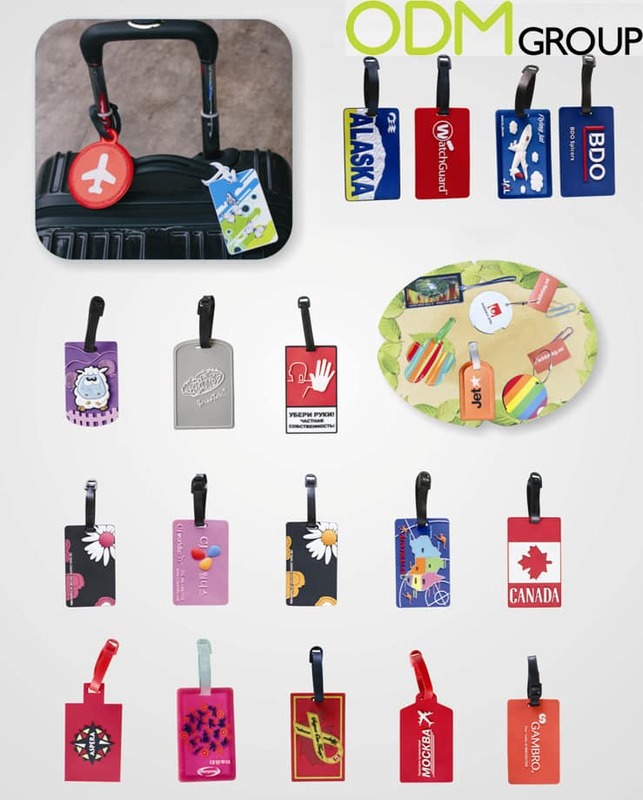 Luggage tags work well for all industries and age groups – service line, food & beverage, hotel business, retail, etc. For example, if you are in the travel line, luggage tags can be given to show customers your appreciation of having them traveling with you. With your company’s logo on it, and attractive designs, loyalty among customers can be created as the tags will sure to remind them who to go to when it comes to travelling. Same goes to other industries. Luggage tags are easy to manufacture and design. This allows a great range of customizability for various marketing campaigns or themes. It can be manufactured in various shapes, colours, materials (metal, aluminium, PVC, synthetic or genuine leather, etc.) and also any printing method you think is best (embossed, silk screen, heat transfer printing). Luggage tag is considered a commonly offered on pack promotion gift. This promotional item is very popular in promotional gifts industry, probably because it is particularly useful. 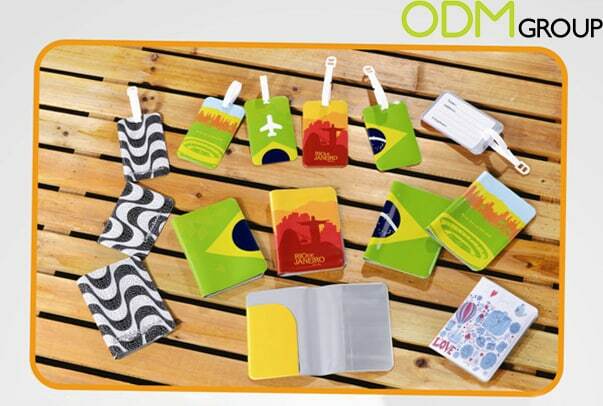 Passport covers prevent your most important travel document from folding, tearing, drabbling and wearing out. Colourful design will make the trip vivid, which make this product just perfect for brand placement. While traveling and enjoying vacations consumers will be constantly seeing your company logo and therefore, will associate their cheerful emotions with your brand. Why not to go ahead and make a whole custom promotional set instead of one item? 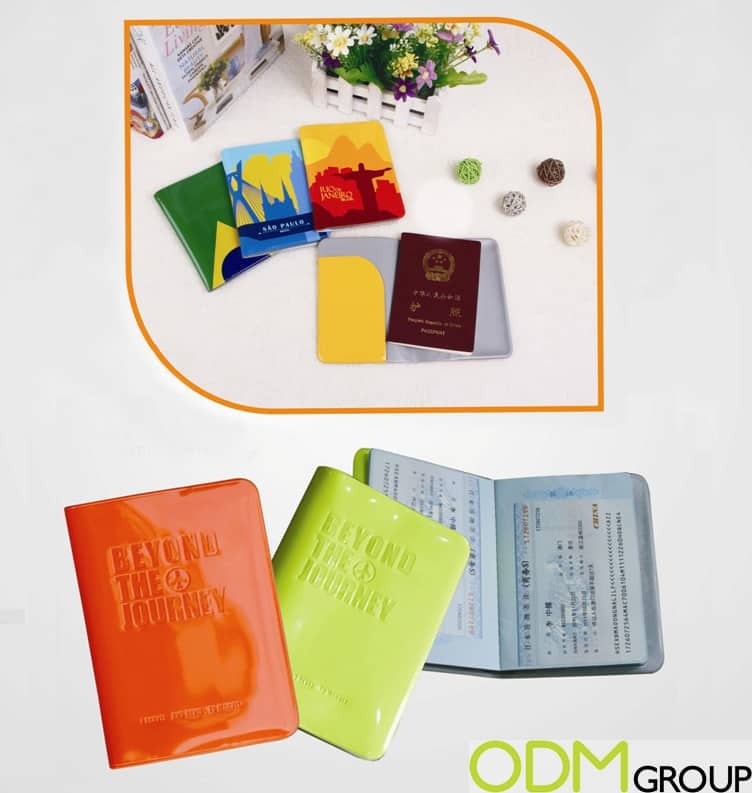 Documents Organiser + Passport Holder + Luggage Tag – all of the same design. Using promotional set in gift with purchase campaign gives you the opportunity for offering choice to your customers. Clients can be sure that they won’t be given the item they don’t need. That will for sure strengthen their loyalty. When buyers get a really appealing present, they experience a highly positive impression from the purchase. For all the items mentioned in this blog we use high-quality PVC material. PVC is commonly known as “Vinyl” in Europe and North America. It is less dependent than other polymers on crude oil or natural gas, and hence can be regarded as a natural resource saving plastic, in contrast to plastics such as PE, PP, PET and PS, which are totally dependent on oil or gas. The chlorine gives to PVC excellent fire resistance. Moreover, PVC products are ecologically friendly, and perform well socially and economically. Essential for this success are low life­-cycle costs, longevity, and the recyclability of these high­-quality products. PVC is non-toxic. It is a safe material and a socially valuable resource that has been used for more than half a century. It is also the world’s most researched and thoroughly tested plastic. It meets all international standards for safety and health for both the products and applications for which it is used. 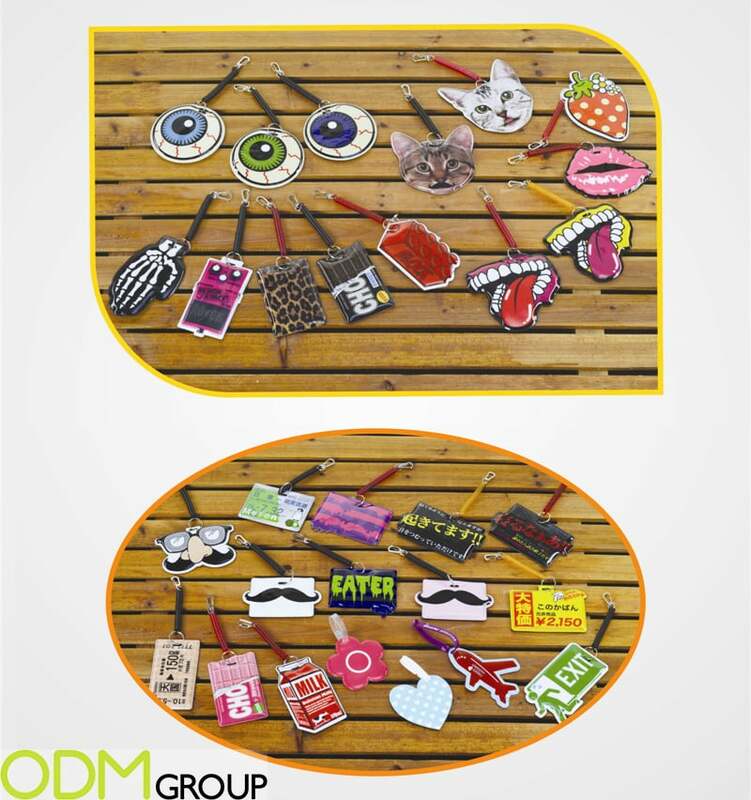 Here at ODM, we have significant experience in design, product sourcing and manufacturing in China. Be sure to check out our ever-expanding gift with purchase and POS display portals in order to find some more similar case studies.